Here is our review for the Feiyu WG Lite wearable Gimbal for Gopro cameras, a super easy to use 1 Axis stabilizer. At its base it has two basic ways that you can mount it: Horizontally or Vertically. When you take it out of the box you will have to set up the GoPro mounts as they are not attached to the unit. You have to screw them on yourself, which is no big deal and only takes a few minutes. Once you have screwed it together you can mount the Gimbal with an array of GoPro products such as GoPro HERO3, HERO3+ and HERO4. All GoPro products that have a standard GoPro three prong mount or a GoPro quick-release interface. The Gimbal itself only weighs a featherweight 170 grams. The light weight is really useful as with some Gimbals, once you connect the camera and then hook it to your helmet, it can weigh quite a lot and take its toll when your on long bike rides. Functionality wise, it is quite a basic Gimbal, it has only 2 settings – tilt and pan and follow lock mode. The follow lock mode is used to focus on something despite your positioning. To be honest, it works much better than you would immage for a Gimbal that costs under $100! Another great feature for the Gimbal is that it has its own carrying case so that you can take it with you when you’re out and about. Requires only 2 batteries to operate and comes with an extra pair of batteries. Power button within easy reach, allows for using extensions without having to remove them to switch the Gimbal on/off. Built in joystick allows for smooth and easy panning. The Gimbal already has adapter for an extension pole built on on bottom, as well as tripod mounted extension – no need to purchase another adapter. Robust and sturdy – doesn’t feel cheap. The attachment clip for the gopro is lightweight and plastic, feels like it could break off when being used vigorously. The little switch to activate the charging/video output is a little hard to switch on, especially if you have big hands. The firmware updates can be a little confusing. Overall the Feiyu WG Lite Gimbal is great for attaching it to things such as helmets or tripods. Although the Gimbal is one of the lowest costing on the market, you certainly cannot tell it’s cheap when you are using it. Everything you could ask of it, it will do very well. If you are not used to uploading the firmware, then you might need to take a look at some really useful Youtube videos for some extra help. It comes with a really handy carrying case (even some high-end Gimbals do not have this feature). The videos are really steady and look great. 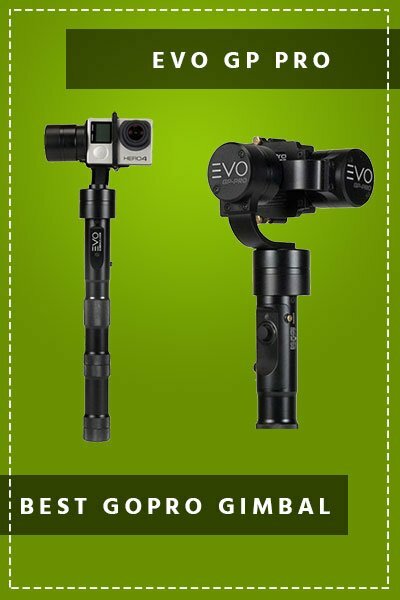 If you are on a small budget or just starting out, then we would advise you to learn the ropes with this great little Gimbal. I am a keen bike rider and wanted to shoot the footage while I was on the road. There are many reasons for this, but the main one is for my own safety. I have to say this device is wonderful, lightweight and easy to connect it to my helmet. The battery life is unreal, it has never ever “died” on my and some of my bike rides have been longer than 3 hours. I had a small query and emailed Feiyu and to my amazement, they gave me a detailed reply within the hour! Awesome camera balance, awesome support. A+ from me. I got one of these the other day and whilst it worked great for like 10min it then started to go wonky or just stay vertical after a while… I thought maybe it was a firmware update problem as I haven’t done one yet. Checked their website and couldn’t find one either. You mention on your review firmware updates can be a little confusing and I think you’re right! Where did you get the file? ?